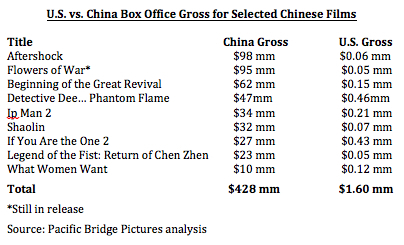 This entry was posted in Analysis, Box Office Reports, Opinion and tagged Aftershock, China box office, Chinese box office, Chinese censorship, Chinese Communist party, Crouching TIger Hidden Dragon, Flowers of War, House of Flying Daggers, If You Are the One 2, Ip Man 2, Rob Cain, Robert Cain by chinafilmbiz. Bookmark the permalink. Contents need to satisfy worldwide taste and P & A must be huge to promote the film. China isn’t alone So is India, Japan and frankly the rest of the world. I totally agree with you, but the 3 issues that you have stated are valid for almost all European countries with the exception of censorship. Outside Hollywood, almost no filmmaker gives the required importance to the Development Stage, starting with the story and screenplay. And as you say, the totalitarian attitude of directors stops collaboration. I think this is because first, there are not enough good, creative producers with knowledge, experience and leadership qualities and second, the industries do not engage in enough audience research. In fact in some countries they have no idea what the audience wants. So it becomes a gamble, rather than business. You can say that these two mistakes are continously made by American independants as well, unless they have a producer with Hollywood know-how and experience. Absolutely, experienced producers are critical to the development of a viable Chinese cinema. When the state is the ultimate decision maker it’s a real challenge to act in an entrepreneurial manner. These are very good points! Especially reasons 1 and 2: there is a lack of technical skill in narration. In other places, this can be replaced / repaired through artistic or narrative edginess. Here (i.e. in China) you cannot do this, as through the licensing procedure only films are released that lack any edge. One structural point that comes on top of this is the absence of an age classification scheme that would allow for content to be developed towards a mature audience. All content developed for a regular mainland release is developed as if for an infantile audience, because technically everybody of any age can see all movies. Thomas, very true. The censorship system requires that films be made for the lowest common denominator. This screenwriter who writes Chinese American scripts appreciates learning more about what is going over there on Jung Gwo…(pardon the Yale Romanization) You hit upon some points I knew about, but others were a revelation and struck me that this industry is really “stuck” in China and that investors and foreign film makers must re-evalute co-producing to protect not only their funds, but their reputation in the industry. Thanks, Gordon, I appreciate your kind feedback. I don’t know which writer you’re referring to but I’m interested to know more. Thanks, Rob. 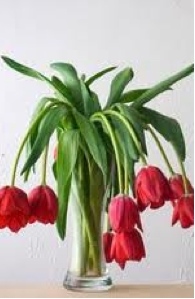 I’m more interested now in seeing Flowers of War, just to study the issue. But especially I’d love to find that Chinese version of What Women Want to examine how a Chinese director translated such a universal social concept. I have a copy of the Chinese version of What Women Want. You’re welcome to borrow it. Chinese film, as film from any other nation, American film included, tends to obey the rough statistic of success of one in ten. “The Flowers of War” failed in the US not because it’s Chinese, and here I pause to query if it is truly Chinese given the involvement of Christian Baile, David Linde, and Chris Ball, but because it is a bad film. You outline a number of possible factors why “The Flowers of War” is a bad film including: a) weak writers (that presumes a bad script); b) state censorship; and c) primacy of directors. These three factors are not necessarily pertinent to “The Flowers of War” as the film is an adaptation of a novel and the director has proved his talent with “The House of Flying Daggers”, but are rather more pertinent to Chinese film in general. And yet I posit that with all these three factors present, still great films can be made whether in China or elsewhere. Witness the films from Brazil of Cinema Novo (read Glauber Rocha) in the 60’s, there were no scripts just ideas and a camera and that gave us among other “Black God White Devil”. Witness the films from Poland and the Czech republic in the 60’s and 70’s cleverly crafted under totalitarian censorship and this gave us films such as “Man of Iron” and “Fireman’s Ball”. Witness the films of Stanley Kubrick, David Lean, or Frederico Fellini, these were not directors know to work in the so called “collaborative” way and what films they gave us. The fact is even the best writer, best actor and best director are no guarantee of success for film is not an industry but an art and as an art subject to the foibles of the human soul. Oh, I understand that in your blog you are referring to “industrial” film for a “pop” audience, and from this perspective I agree that most Chinese film fail to deliver the goods. But so do films from other nations when they open in the US – save for the odd run away which buckles industrial film/pop audience trends like “Kings Speech” or “The Artists” solely on their merit of art and culture. This is because no other nation other than the US has a sustainable film industry that knows how to develop a product based on market trends and market it as an event to the extent that it makes something pop into culture. So now the question is do the Chinese really want to develop a sustainable film industry? I am sure they do, for as you say they want to export Chinese culture to global audiences. But I doubt it that they will ever ask Hollywood for help, I think they will most likely buy the principal assets in Hollywood much as the Japanese, French and Germans attempted to in their days.Then again who wants to see Chinese culture through the prism of a Hollywood committee? You make several good points and I agree with them. However, my (too brief) outline of reasons for failed Chinese films wasn’t intended to apply to Flowers of War, although I can understand why you might have made that leap. And I’m also not of the mind that great films can’t be made in China. Many of my all-time favorite films are Chinese (defining that broadly to include HK and Taiwan)– among them Raise the Red Lantern, The Story of Qiu Ju, The King of Masks, Dragon Gate Inn, A Touch of Zen, The Swordsman in Double Flag Town, Not One Less, Chungking Express, and too many others to name. But the entire structure of China’s film industry is geared toward mediocrity. The combination of mercantilism with creativity-stifling authoritarian propagandism has resulted in an industry that can only make great films by accident. I disagree with your assertion that China will never ask Hollywood for help. I receive requests from China almost every day for screenplays, for distribution and marketing advice, for help with visual effects, for introductions to potential U.S. partners, and so on. The problem is too often those soliciting help will hear thoughtful, well-reasoned advice and then go and do the opposite of what is recommended. I don’t think that this is a fair comparison – if they had pumped into this movie as much P&A as an average major release of Hollywood studios gets AND had ensured a wide release along with it, the BO performance may have told a different story. That said, I haven’t seen the movie, so cannot really comment on its contents. Yes and no. The U.S. distributor, Wrekin Hill, platformed Flowers of War in hopes that it would catch on and that they could expand the picture from there. It was a relatively low-risk strategy that didn’t work. Some interesting thoughts. It’s interesting that Chinese producers see the Western Market as a the promised land .. Western producers have the same attitude for the Chinese Market. According to those who have set up coproductions in China, though, it is basically impossible for a foreign investor to see ANY of the box office return from inside China – their advice to me was simply to not have any expectation of seeing it – no matter how successful the film might be. Part of the problem is that the Chinese partner has to apply for special permission from ‘SAFE’ (The State Administration of Foreign Exchange) to transfer the money outside the country. So, of course, they aren’t exactly going to be spending too much effort to work through the bureaucracy … if they succeed they lose money! It is indeed difficult–but certainly not impossible–to repatriate returns from a China co-pro back to one’s home country. I do think it’s generally advisable to let the Chinese partner keep China receipts and for the foreign partner to keep as much of ex-China as they can. If, as a non-Chinese co-producer, you want to participate in the Chinese revenues, you’d better have some leverage with the Chinese partner to force them to play nice. Haven’t seen the film so cannot comment on “why’s”, but to add my two cents, I think one reason foreign films don’t do well in the USA is lack of investment in P&A by the distributor. There are two reasons for it. First, any film that is not American production is ‘foreign’, which means risk. Second, unless it is a genre film American audience rarely embrace foreign drama as entertainment. Drama that have been successful are rate but genre films especially action films have done well. Martial art pictures from China in particular have captured international audience. So, if a good director, producer and actor from another country targets American audience with their product, they must know the distributors first. They are the gatekeepers. If the ‘buyers’ aka distributors like it and will spend P&A then audience will flock to the theatre. Now that does not mean the gatekeepers know what American audience want, it is just that they have to be passed. Of course, unless foreign film makers want to invent a DIY for their films like many indie pictures do and find their audience. I’ve always wondered why high end films [Budgets] don’t factor in P&A for the foreign release and have a distributor partner. Maybe some do or it’s the local politics that gets in the way. Spend 90 million USD to make and not a couple of million on P&A for the Americas seems not like smart business. Maybe I nedd more education. I was in China six times last year. I am currently co-writing a film for a Chinese company, and have recently been consulting on two others, one of which just wrapped production. From my experience, Rob’s analysis is accurate. What passes for drama in one country can be seen as melodrama in another. It’s a very cultural thing. I teach screenwriting in London annually, and often find that my attendees, many of them working writers, find American films like Jerry Maguire or While You Were Sleeping or War Horse to be distastefully melodramatic. They feel “manipulated” –– meaning, they are too aware, as they watch the films, of the mechanics of camera angles, sound track, etc. Similarly, to an American sensibility, a Chinese aesthetic can feel very melodramatic. Now, it’s a complex culture in that I’ve seen some truly sappy (to my eyes) melodrama in some Chinese films, yet the Chinese people often take pride in not showing emotion, especially in a group. (Expressions of anger = the target of the anger loses face). By melodrama, think of the scene in the recently released “Shaolin” in which Andy Lau’s character goes way over the top in a long scene with chest-pounding and loud, agonized grief when his daughter is dying. Or consider how he’s evil one moment, and good the next, without a credible character arc. I don’t mean to say that the film didn’t have some beautiful intentions behind it and some memorable scenes; but the above point toward a penchant for melodrama, and a lack of sophistication in storytelling. I have not yet seen “The Flowers of War,” but all the criticism focuses on these same two points. One of the films on which I consulted in China last year, a big budget epic, drips with melodrama. A melodramatic love story between two very ancillary characters is as important as the main plot, and that is not a good thing. A big budget film there needs to get approval from so many people inside and outside the government that this doesn’t make it easy to do something that shines. Creativity gets watered down. However, again the issues can’t be simplified. For one, a big budget film in America needs to get approval from many people, and can also suffer as a result –– but also sometimes benefits as a result of the varied input. And in China, as is the case here, the people who give feedback often are very smart, very well-meaning, and they love film. You’ll meet the same variety of personalities there that you’d meet in any other group. The difference is, even if smart and well-meaning, they don’t know much about development, as Rob says. They usually know little of what it takes to make an engaging script. There’s a better chance (though certainly an absolute chance) that those giving feedback re: an American script know about storytelling. If anyone in China is reading this blog, and no doubt some people are, please don’t take these comments as implying that I credit some kind of innate superiority to American films. American films are a mixed bag; some are great, and some are deeply flawed. Some make money and a lot don’t. The pressure for big profits can also push American films toward incredible mediocrity, which is why so many people turn on cable television or even some of the better network shows if they want to get their aesthetic fix. Look how many Academy Award nominated films this year were made outside of America. And many Academy watchers predict a French film will take home the Oscar for Best Picture. Thanks Rob for the update and for sharing the news, and for your always-interesting analysis. Agree with you David Freeman. Lot’s of smart people in china film etc. The difference in that tighter restrictions for plot etc in china makes the end result detirmined by the SARFT. So the standard will stay the same with melodrama being the fodder that sustains the masses. I am planning a survey of 250 media goers in china to ask some questions about choice and their future wants. Then I’ll share that with the foreign indusutry and see how long or if it reaches the chinese side for a reaction. I hope it’s not illegal here because I live in Beijing with my wife and baby and don’t need any more drama or melodrama in my life at the moment..